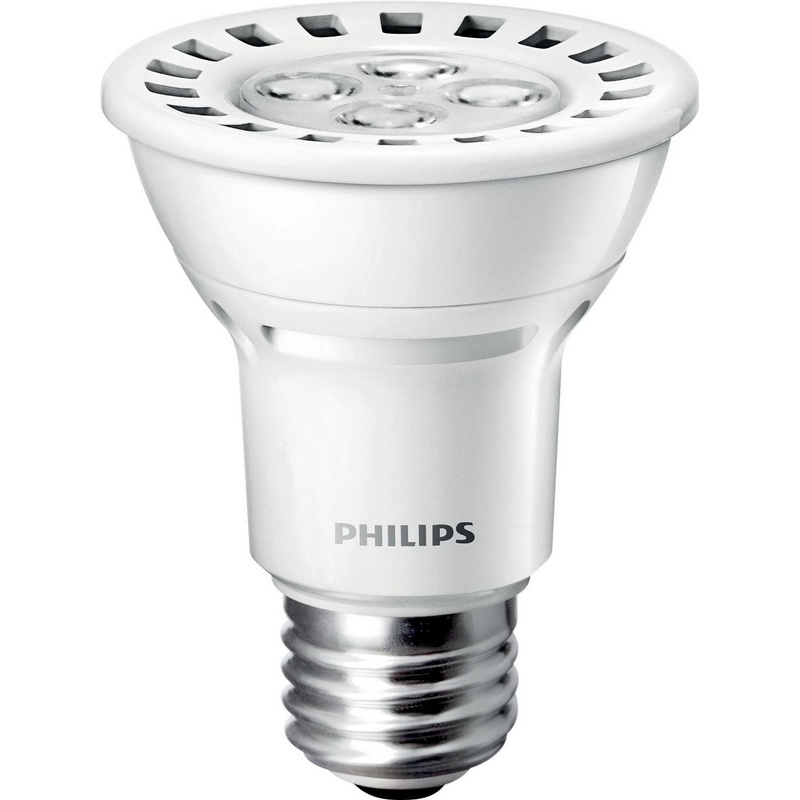 Philips Lighting 8-Watt PAR20 E26 Medium base LED lamp offers 450-Lumens of bright light output. It has voltage rating of 120-Volts and current rating of 78-Milli-Amps. This lamp has color rendering index of 84. Lamp with 2700K color temperature rating radiates warm white light to the surrounding. It offers floodlight distribution at beam angle of 25-degree. This lamp measures 3.5-Inch x 63 mm Dia. It comes with average life of 45000 hours. This lamp emits virtually no UV/IR light in the beam. It is suitable for use in damp location. Lamp is cULus listed and Energy Star certified.